Boom! 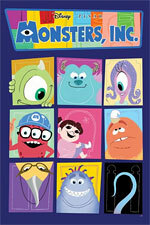 Studios is releasing the first issue of Monsters, Inc. tomorrow. It’s the latest comic book based on Pixar’s animated feature films. The first four issues are written by Paul Benjamin and drawn by talented artist Amy Mebberson. Besides drawing for the Monsters comic, she’s also working on the upcoming Muppet Peter Pan comic as well as covers for Finding Nemo and The Muppet Show. I asked Amy some questions about her work. Disney Comics Worldwide: How did you get started at Boom! Studios? Amy Mebberson: Much like Alan Porter said in your last interview, I had worked with editor Paul Morrissey at Tokyopop. Through the grapevine I heard that Boom! were building a stable of artists and writers for their Pixar and Muppet comics and basically, they couldn’t NOT hire me. I wouldn’t let them! So I got in touch with Paul, made some phone calls, followed him home a few times, received a restraining orde-… okay, moving on. 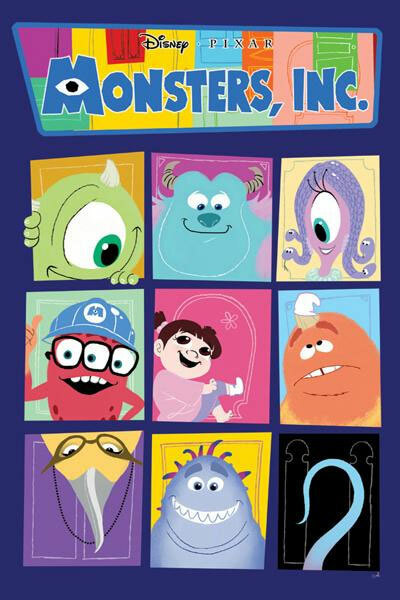 All the artists have to be approved by Disney as well, so I had to submit a whole lot of character model sheets for various titles and Monsters Inc. was the first one they approved me for. By a pleasant stroke of luck, I was paired with writer Paul Benjamin, whom I also knew from Tokyopop, so I got to start working with some familiar faces! Disney comics are back in the United States thanks to Boom! Studios, a relatively new publisher that recently landed the license for Disney Pixar’s movie characters as well as Disney’s classic characters like Donald Duck and Mickey Mouse. 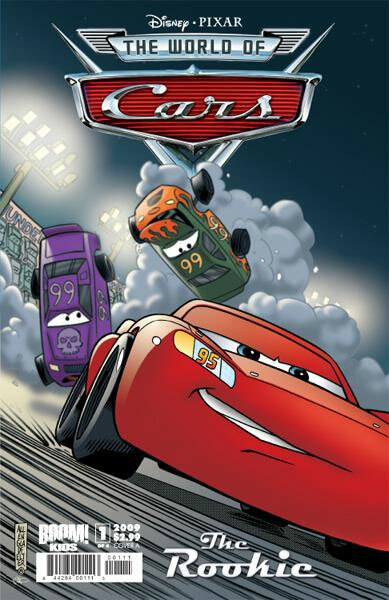 Boom’s first two Pixar titles, featuring all-new stories, were Cars and The Incredibles, which both hit newsstands in March 2009. The first issue of “Cars: The Rookie” sold out in one week and is now in its 2nd print-run. The Cars comics are written by Alan J. Porter with beautiful artwork by Albert Carreres (stories) and Allen Gladfelter (covers). I had the chance to ask Alan some questions recently about his work for Boom and his love for Cars. Disney Comics Worldwide: How did you get involved in writing the Cars comic for Boom? Alan J. Porter: I begged to do it! 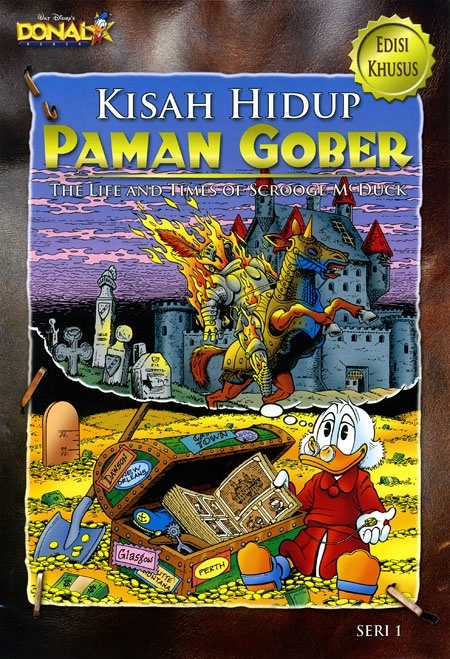 OK the serious answer, I already knew Paul Morrissey the editor on the BOOM Disney books as we had worked together at Tokyopop where he had published my manga story GOD SHOP. The day that BOOM announced the Disney*Pixar deal at San Diego Comic-Con in 2008, I found Paul and told him that I just had to write CARS. I pitched him a story idea there and then that he liked, so he asked me to send him some more story ideas after the convention. It seems that both Paul and the folks at Disney liked my ideas enough to give me the gig. Back in May, Walt Disney Studios launched Kingdom Comics, a new division tasked with re-imagining and rejuvenating Disney’s live action films as 128-page plus graphic novels. The company’s other goal is to create original material that will have the potential to be made into new film projects. Read more on last weekend’s panel at Wizard World on Comic Book Resources. It’s also interesting to note that 59% were ‘standard’ characters like Donald Duck and Mickey Mouse, 21% of entries were Pixar characters, while 11% were from classic Disney features like Alice and Princess Jasmine.